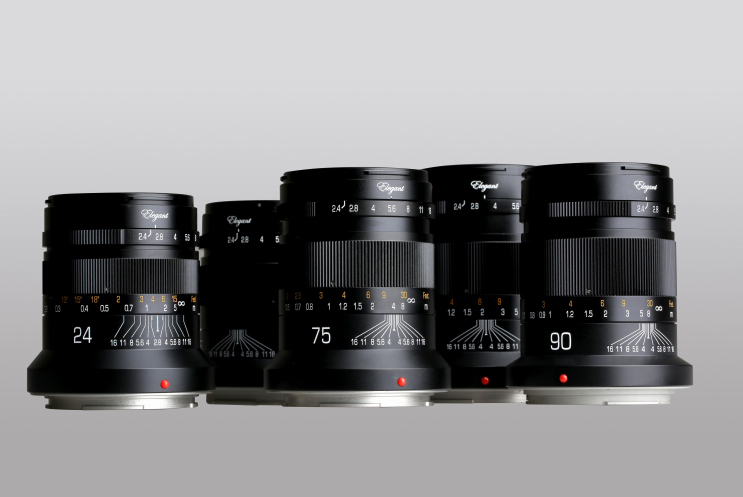 Today Kipon announced their first five new manual focusing lenses for the Nikon Z cameras. 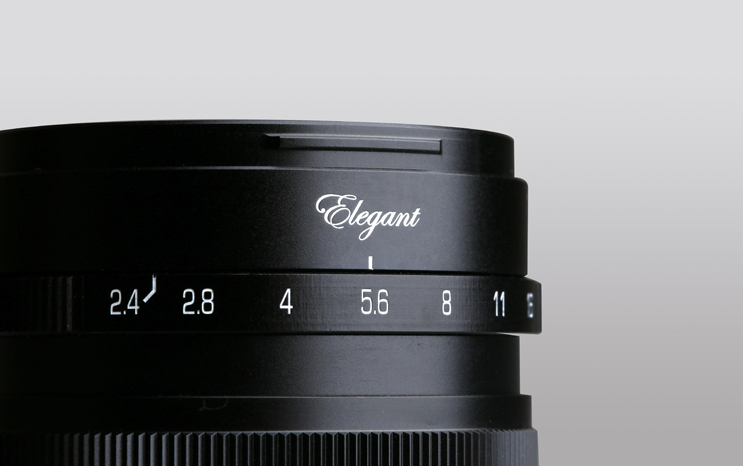 Those lenses are already available as E-mount version at Amazon US, Amazon DE, Amazon UK. 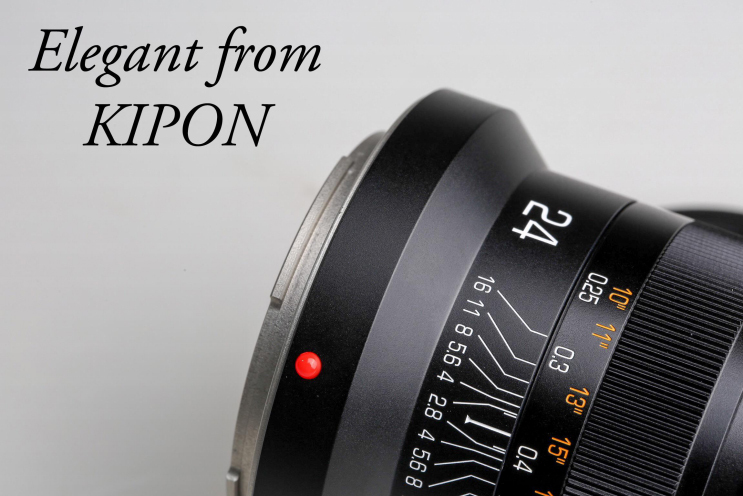 KIPON announced ELEGANT series lenses, world-first full-frame lenses for new Nikon Z mount and Canon R mount cameras from third-party. After 6 years non-stop learning for how to make high quality lenses, KIPON accumulated rich experience now, The reason why we use ELEGANT to name this lineup is because we want to transfer exactly how we develop these lenses from design to manufacture.They are consistent with our inertial thinking and philosophy about developing products in our company. This means Nikon is sure that after decades of Canon dominance they can finally overthrow them. What could sound even more “arrogant?” is that they believe this will happen “quite soon”. The history of all companies is full of such bold statements. For now let’s hope Nikon brings out new Z glass soon! 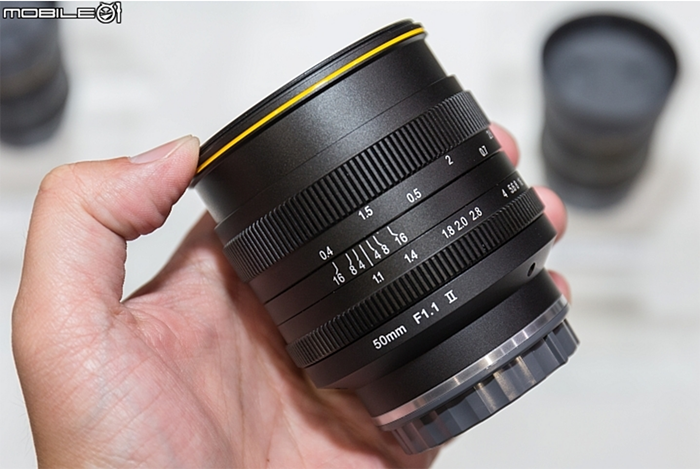 Mobile01 reports that the Taiwanese company Kamlan will launch their first Full Frame Nikon Z mount lenses in 2019. Kamlan lenses for other mirrorless mounts are currently listed on Amazon US, Amazon DE, Amazon UK, Amazon FR, Amazon IT, Amazon CA. Our brand new Nikon Z7 full frame mirrorless camera arrived at the office this week, and we immediately got down to business. Four years ago, Sony fired the first shot of this battle with the A7 and continued to release one iteration after another, each improving on the last, and did so completely unanswered by the competition until August 23rd of this year when Nikon announced the Z7 and the Z6. 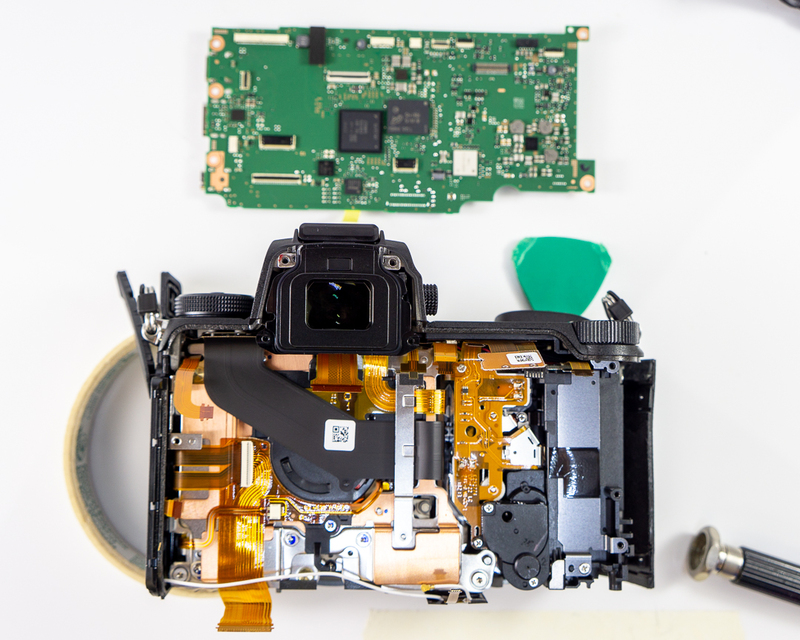 Based on the popularity of our last teardown where we took the A7R III all the way down to its sensor , we’ve decided to provide model-by-model coverage of the full-frame mirrorless wars by showing you what’s under the hood. 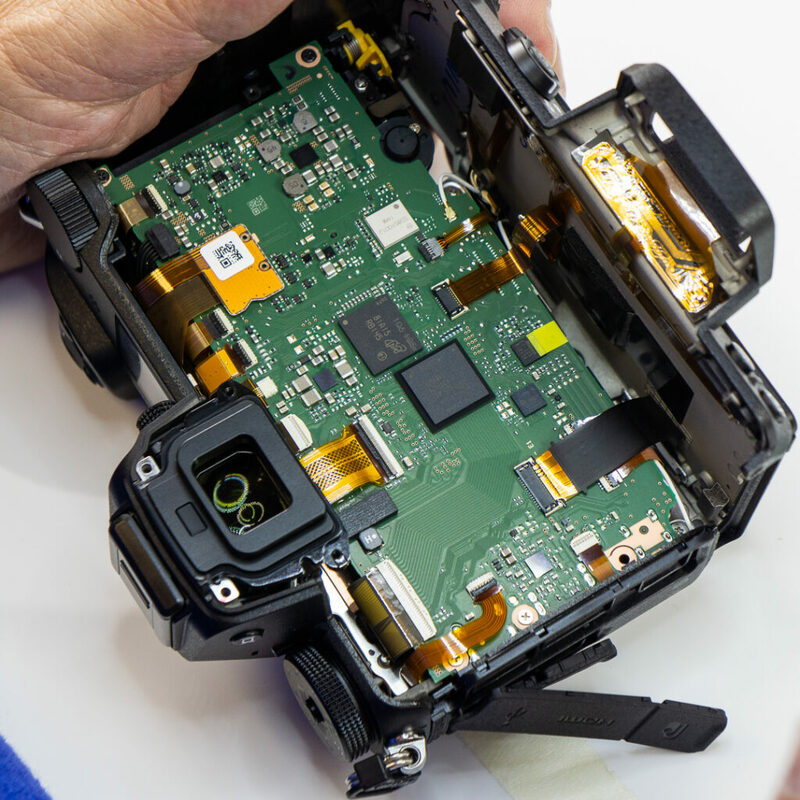 Specs and performance matter, but taking a detailed look inside can tell you a lot about a camera and how it stacks up to the competition. For this reason, we started with the most worthy challenger to the Sony A7R III: the powerful, 46 megapixel Nikon Z7. The hype is genuine, this camera feels just like a DSLR in your hands. It is well balanced, incredibly responsive, and tightly constructed. We’ve taken our Z7 apart and put it back together and we still can’t get it to rattle or make a noise no matter how hard we shake it. 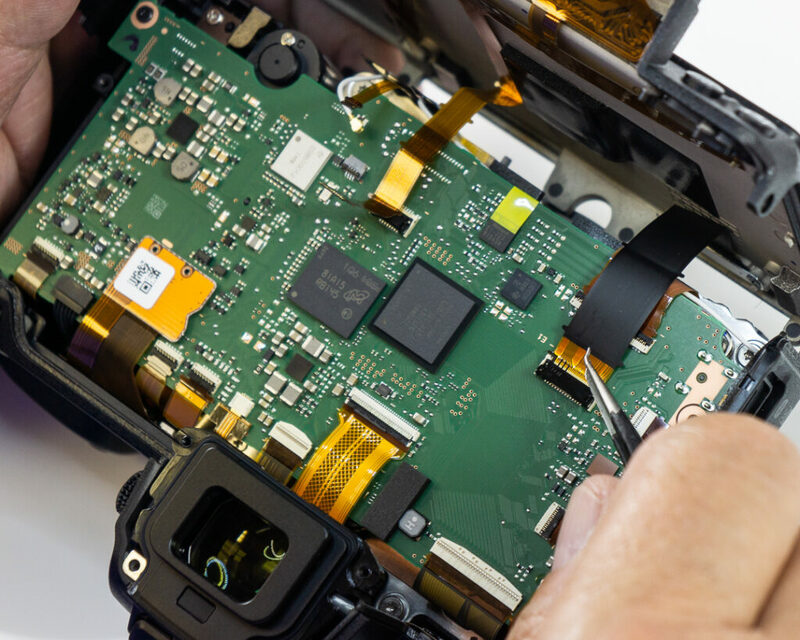 Along with its very tight tolerances, the connection ports and battery and XQD card doors appear to be well sealed against the elements. 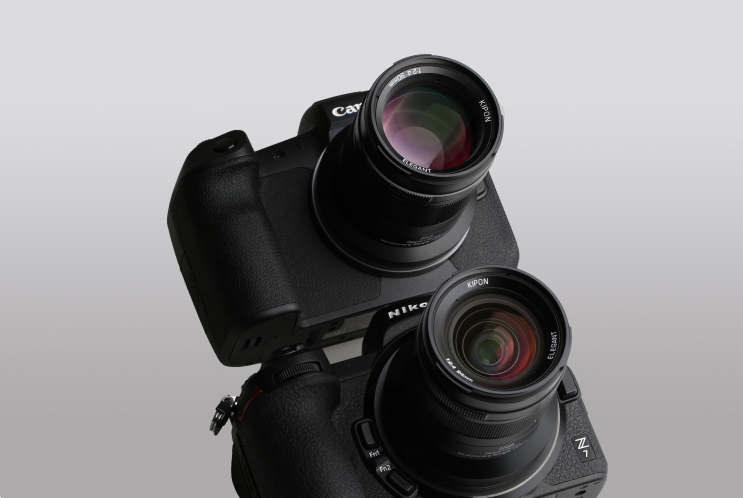 The A7R III has a new rival, and so do all the cameras that still use mirrors. So, what’s going on inside this thing? 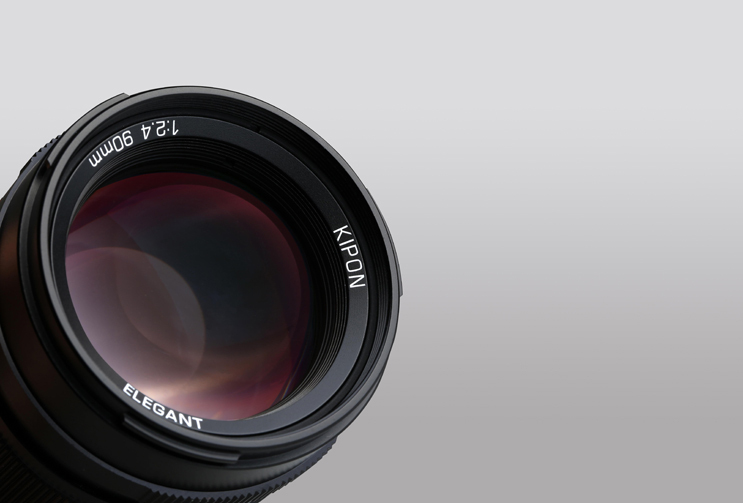 If it weren’t for the new lens mount, they probably could have called the Nikon Z7 the ‘D850 Slim’. 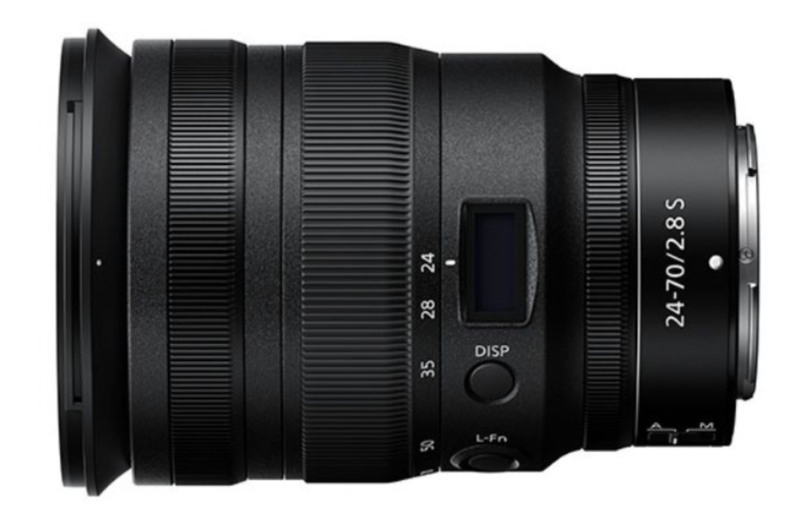 That’s how much it looks and feels like a slender, professional DSLR. 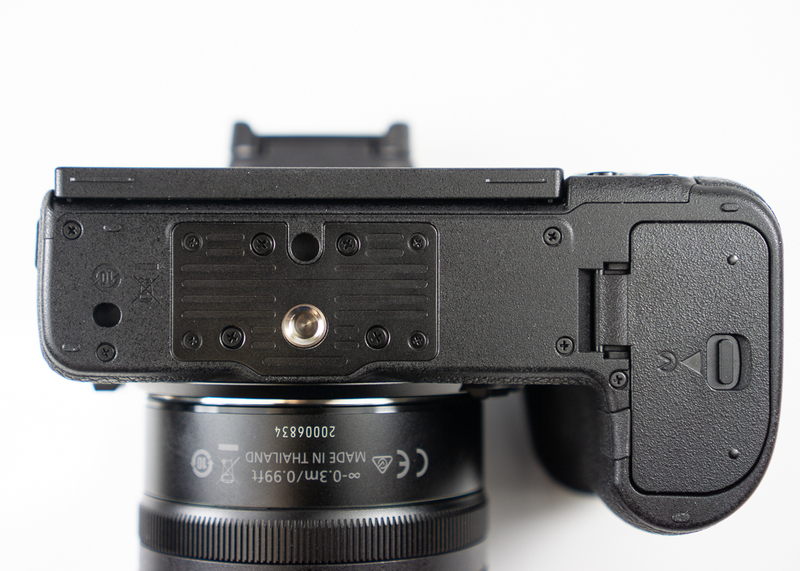 Much like the A7R III, the bottom plate comes off first. We can not be held responsible if the battery retention clip attacks you. Unscrew carefully and be ready to catch the pieces. More screws on the port side. Removing the eye cup reveals 4 screws that’ll have to come out. And, another under the XQD card slot. Be extra rough on this one to discipline the camera for it’s lack of dual card slots. 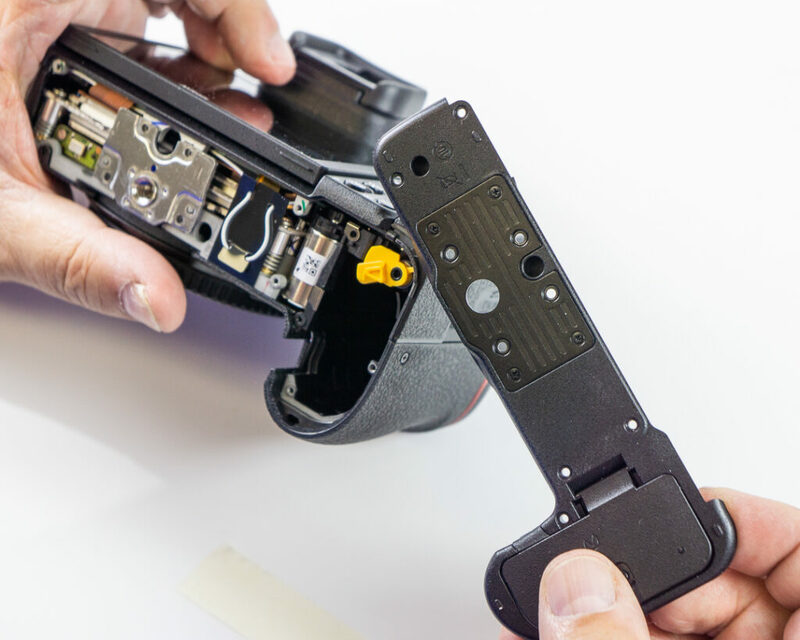 Carefully skin the grip side of the Z7. 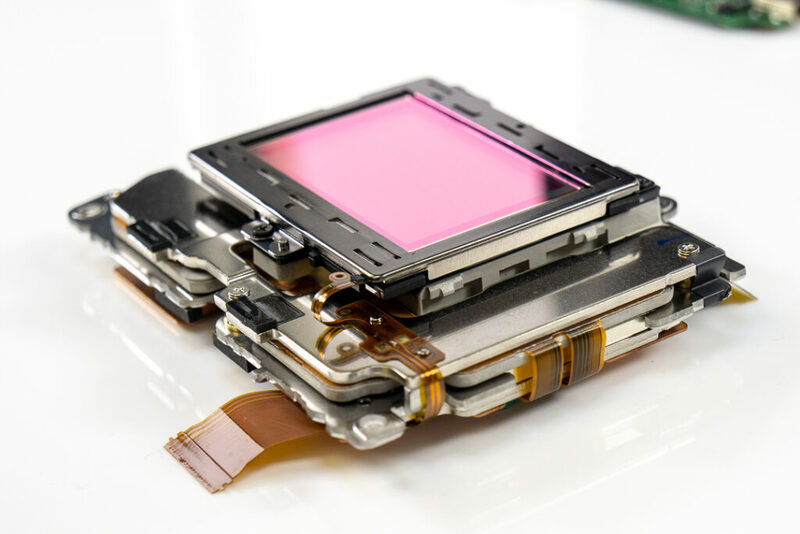 This is custom for traditional Nikon dishes and greatly enhances flavor, but it also reveals the VERY tightly interlocked frame underneath which will have to be separated to break the camera down into it’s main components. 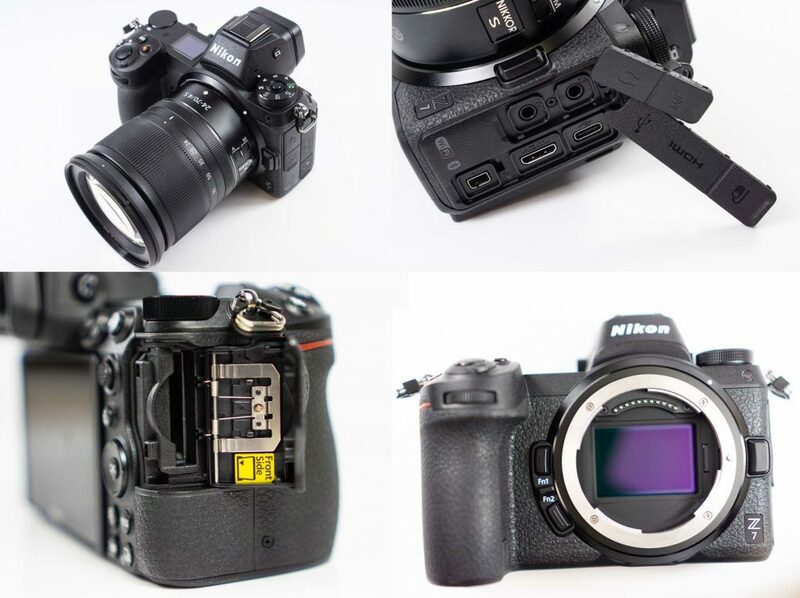 The back of the Nikon Z7 will then open up revealing many connectors, some of which we haven’t seen before even in other 2018 releases. We were also surprised by how plain things are looking under the hood so far. 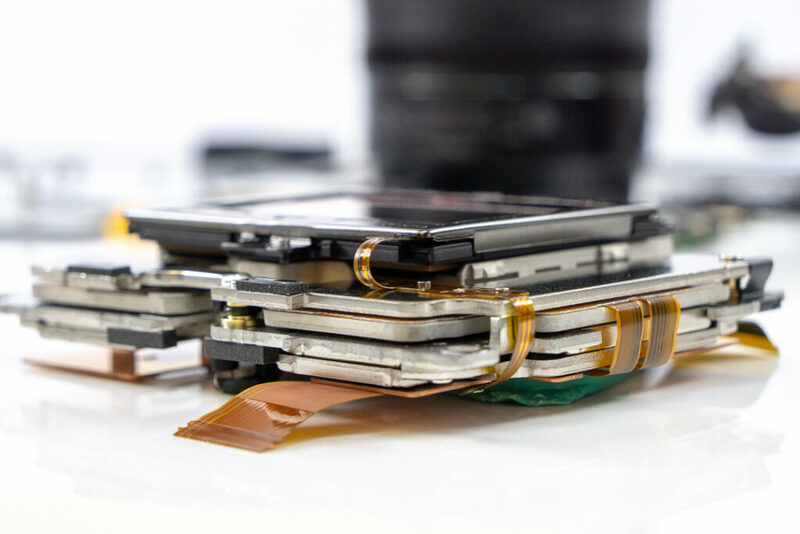 We’re not seeing the layers of heat shielding and heat sink tape that we say in the A7R III. Is this a good or bad thing? Let us know in the comments. Separating some connectors frees the back and LCD from the board. … and, the board comes right out. 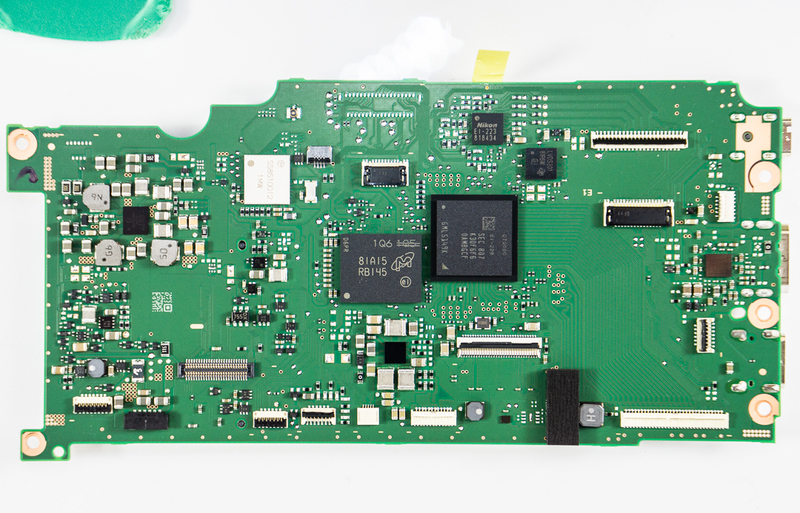 The Z7 has just one board with nothing too crazy going on. 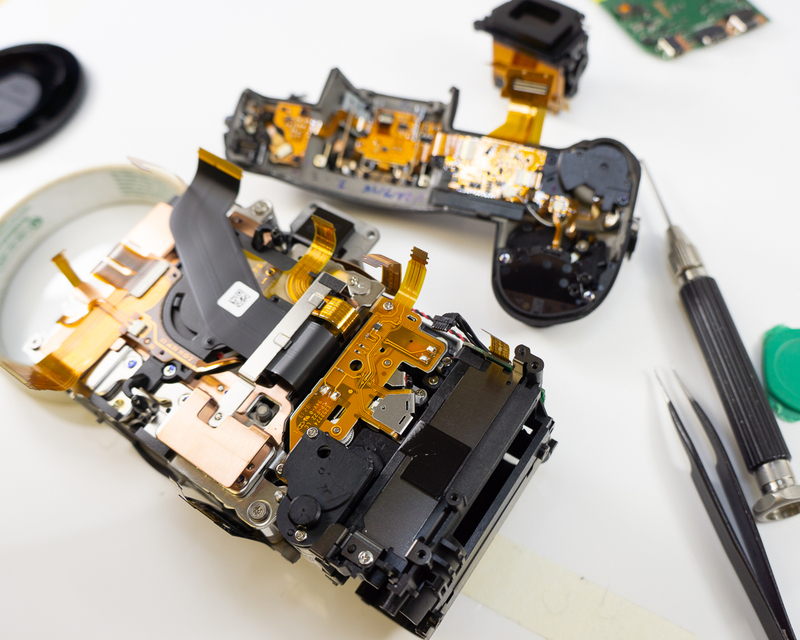 There are a lot of overlapping connectors that create quite a nest of ribbon cables, but they can be lifted to reveal more hidden screws. We take these out to break the camera down further. First, a closeup of the board (front). Some of those connectors near the top are definitely new. …and the back. 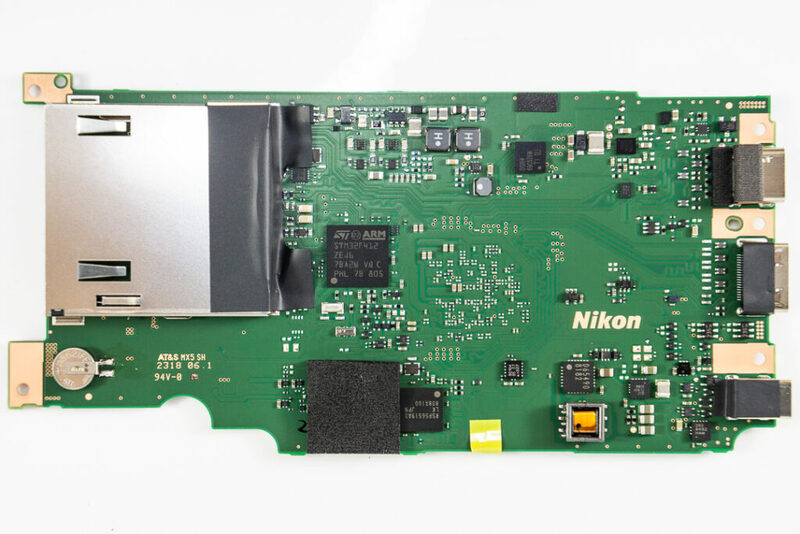 Nikon clearly made a tough decision between one XQD card or two SD’s. 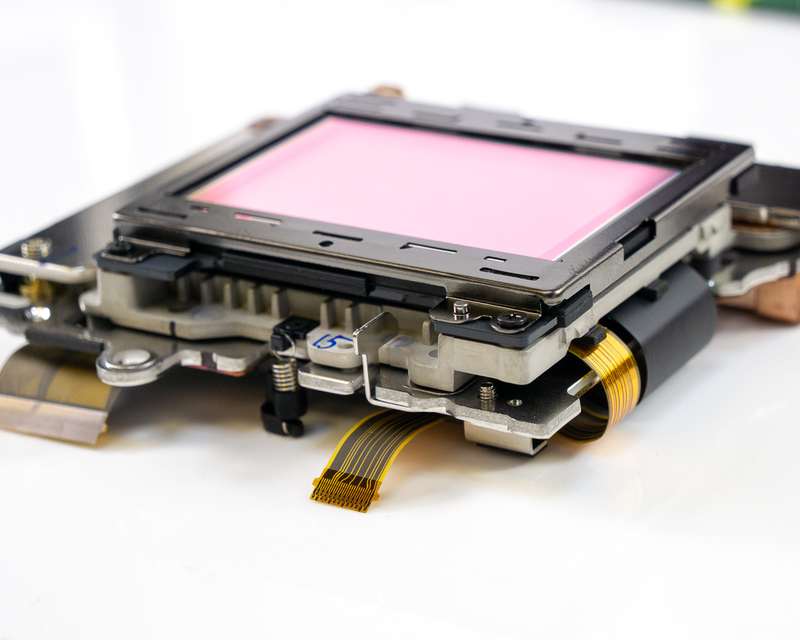 The A7R III’s dual SD card slots just barely fit onto the main board as you can see from our last breakdown. 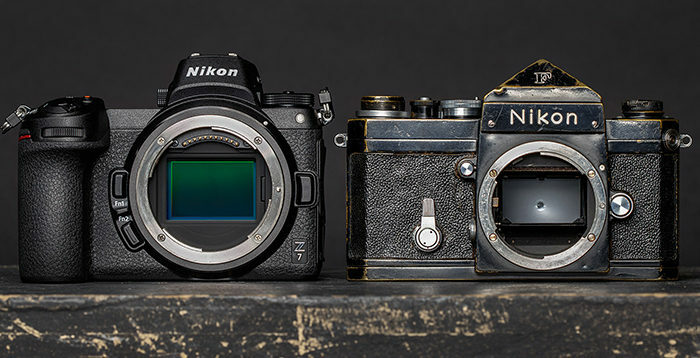 Nikon went for quality over quantity here, but this is a contentious subject. Only time will tell if professionals share their philosophy. Here are some more intimate shots of how things are looking so far. 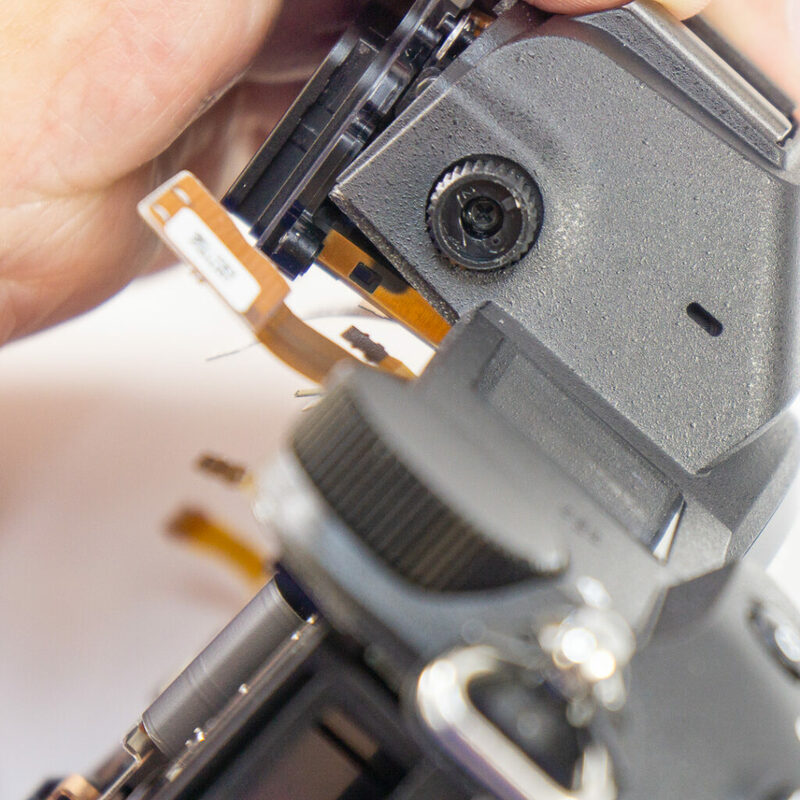 The lens mount is tightly weather sealed as well by the rubber you can see peeling off in the 2nd shot here (right) as we take off the lens mount ring. 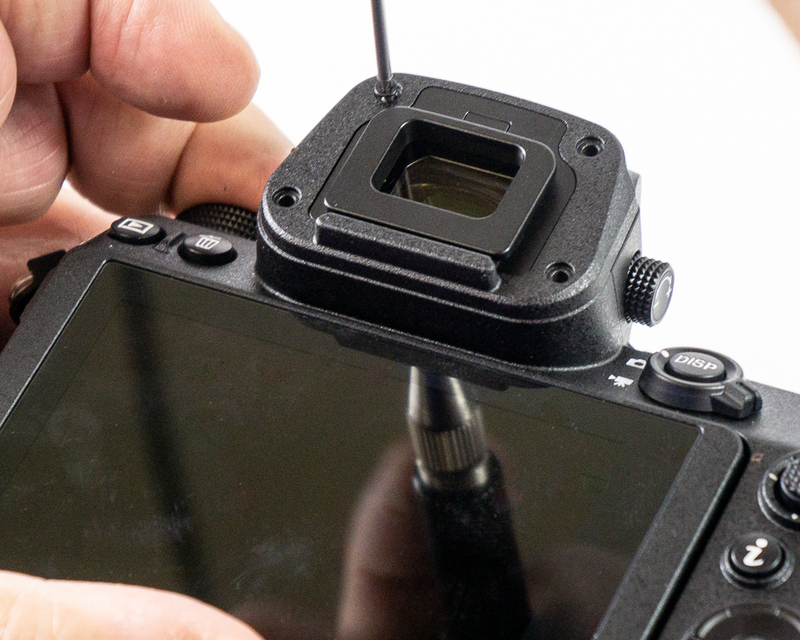 Don’t forget the secret screw hiding in the EVF diopter. 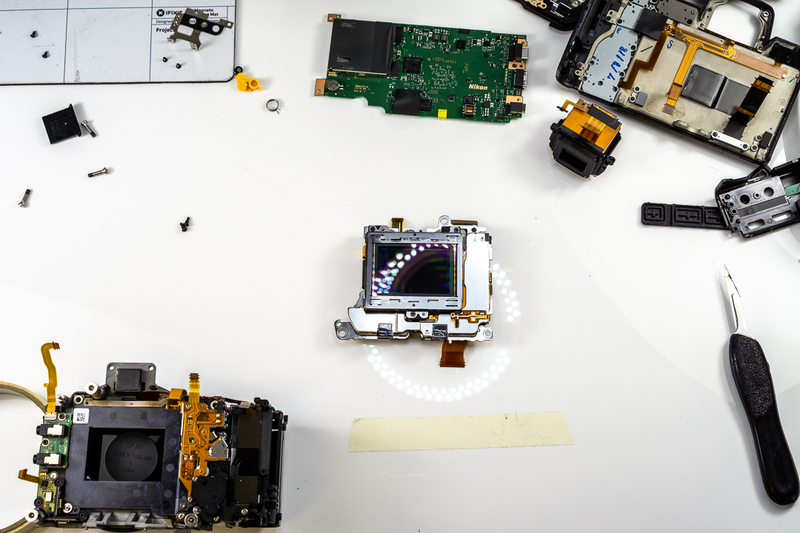 The camera is now broken down into its major component groups. A detailed look under the top piece before we proceed. 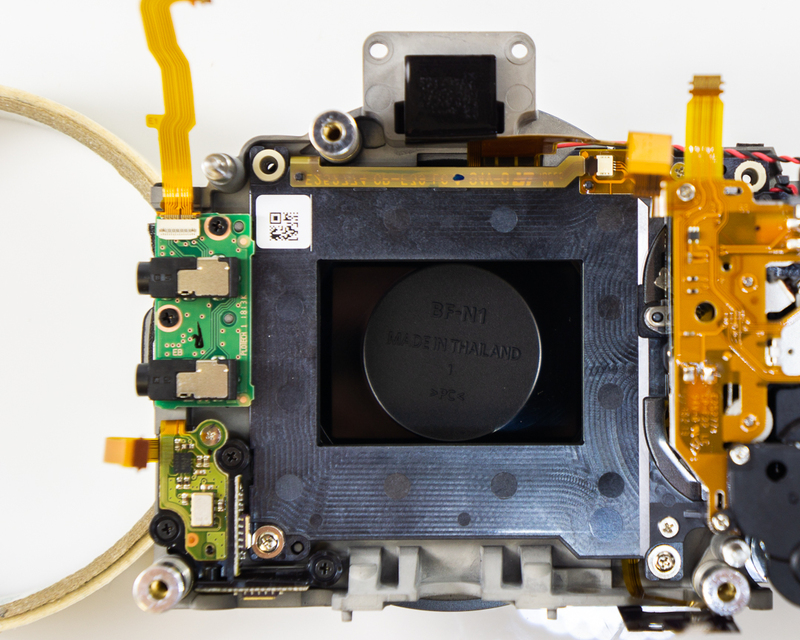 Now for the sensor and shaker components: the heart of any modern, IBIS enabled, full-frame contender for the professional mirrorless throne. Several thick and sturdy springs like the one seen here keep the sensor suspended in the perfect position for proper focusing. 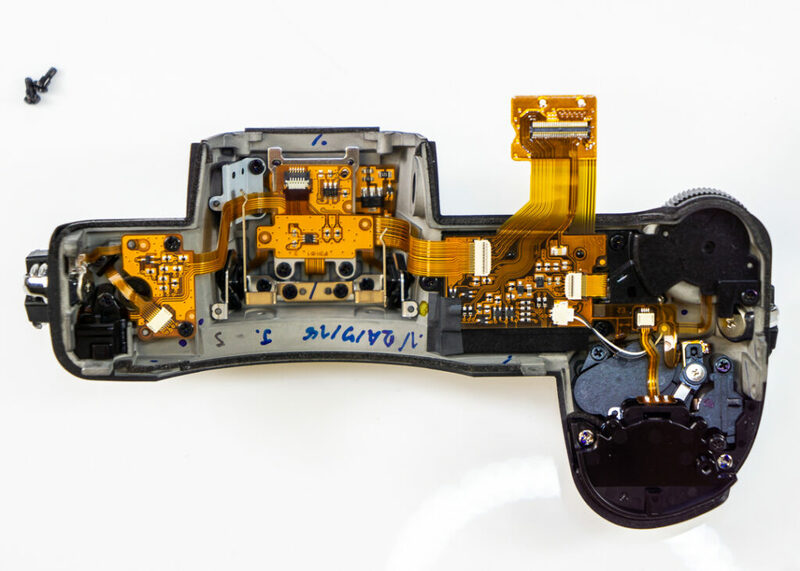 Removing the sensor assembly reveals a separate component for the headphone and microphone jacks, also like the A7R III. At last, the full sensor assembly, IBIS shaker included. We were surprised to find that the Nikon Z7’s shaker itself does not move very much compared to Sony and others. 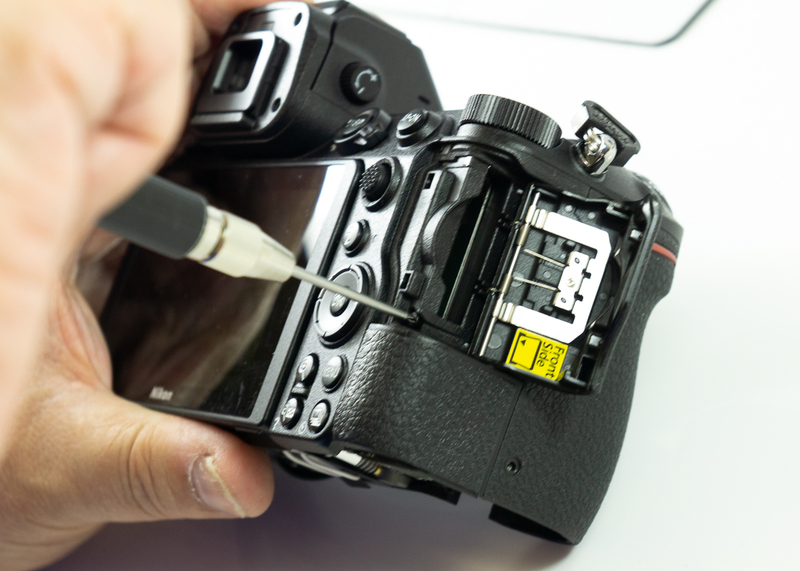 Despite this, Nikon still claims a CIPA image stabilization rating of 5-stops, where the A7R III claims 5.5. Another unique aspect: the cover glass of the Z7’s sensor is about half a thick as the Sony’s, coming in at 1.1mm. 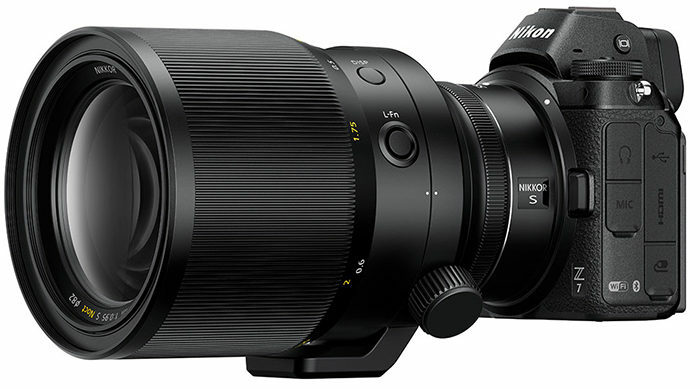 This means the Nikon will have better performance with adapter lenses right out of the box. 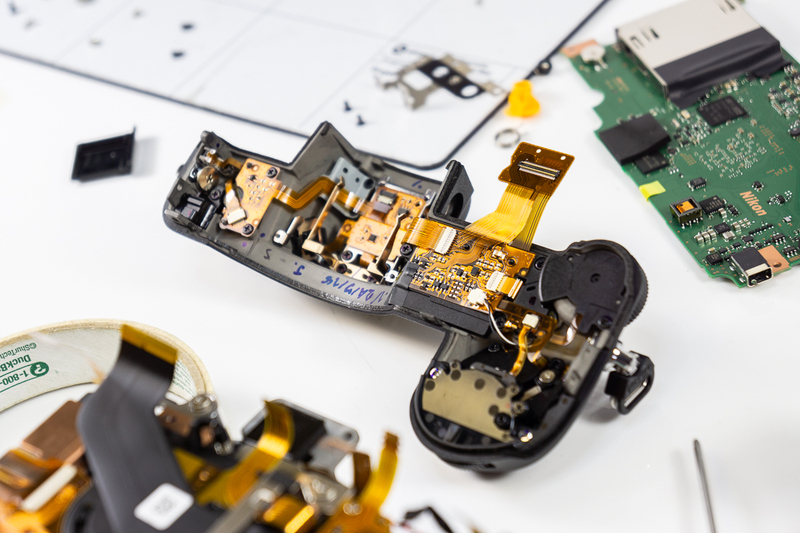 However, with our ultra-thin conversion measuring down to 0.2mm, the camera will still benefit a great deal from a modification service if you’re a Leica lens (or other legacy glass) enthusiast. 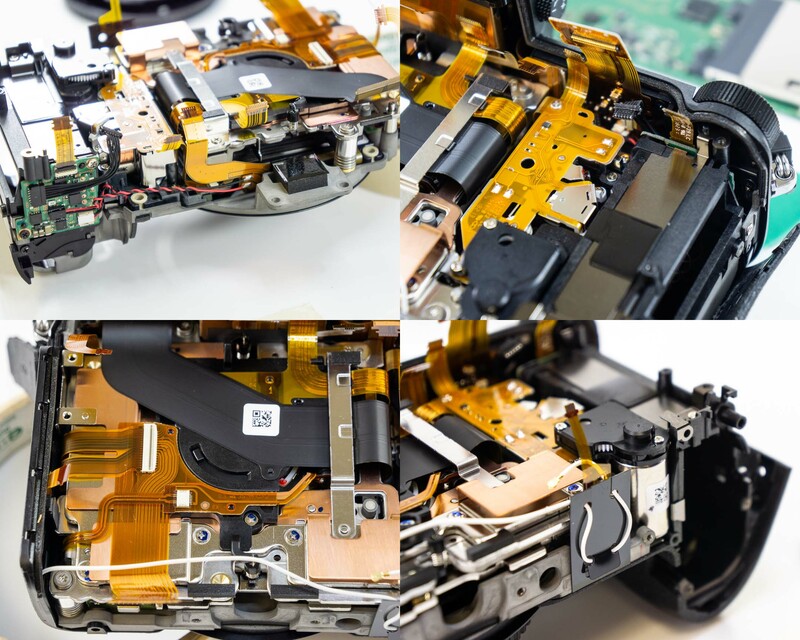 When this particular Nikon Z7 is back in one piece, it’ll be a full-spectrum capable infrared camera and we’ll be testing it in our full range of IR and UV optics. Stay tuned. 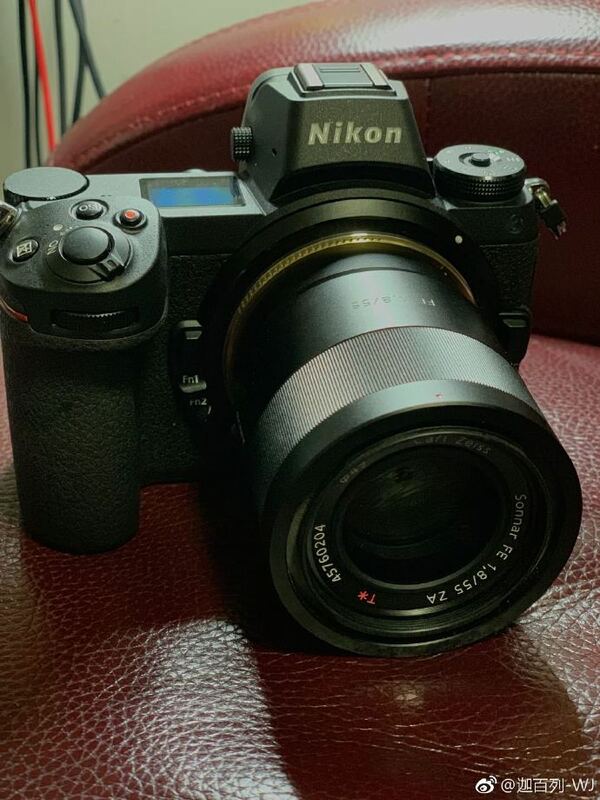 The Nikon Z7 is a beautiful camera inside and out, one that genuinely surprised us with its simplicity when compared to other mirrorless cameras. It seems to have taken a few design pointers form the A7R III, but is still very much its own unique camera. Is it the new standard for full-frame mirrorless? Time will tell. Other DSLR titans like Canon and Panasonic are entering the arena. Old underdogs like Sigma are coming out of retirement. Fujifilm has announced another, smaller medium format mirrorless camera. 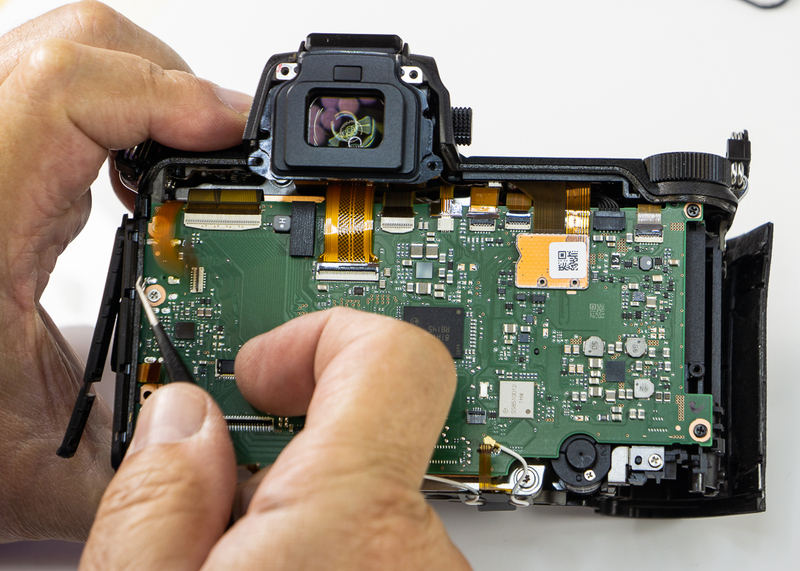 This is shaping up to be the war to end all camera tech wars, and it’s only just beginning. 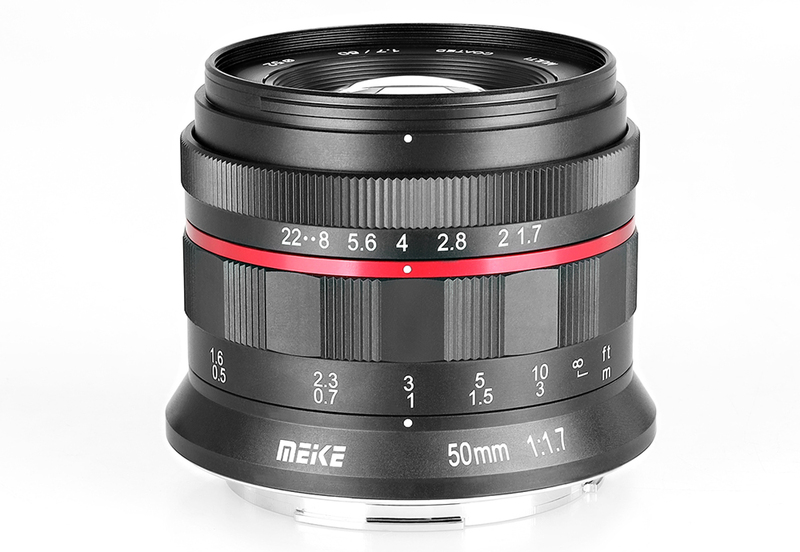 – The goal for the 58mm f/0,95 lens is to have maximum quality. 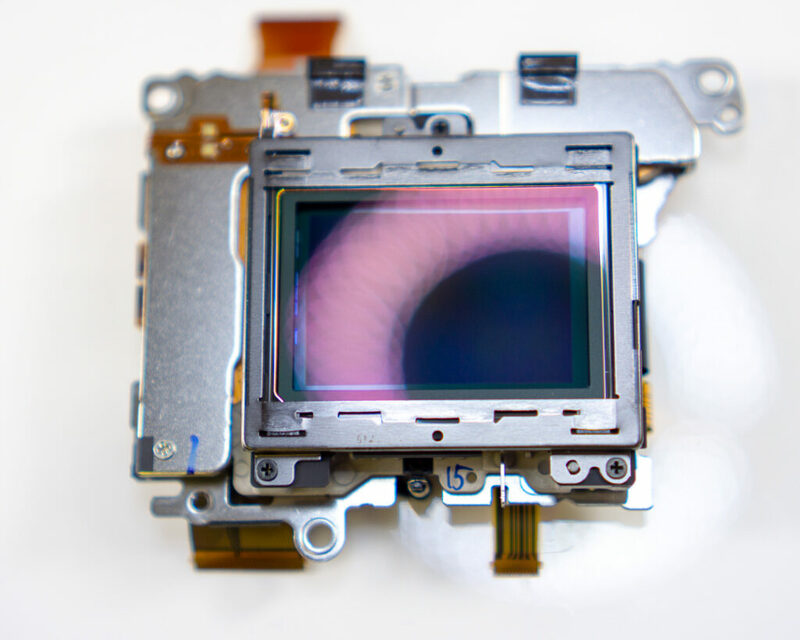 That’s why it doens’t have autofocus. “There’s absolutely no doubt that Nikon users have been waiting for a viable mirrorless option for some time now. The ill-fated Nikon 1 series certainly didn’t tick the right boxes for the vast majority of pro photographers, while the Z7 finally feels like the company is heading in the right direction. 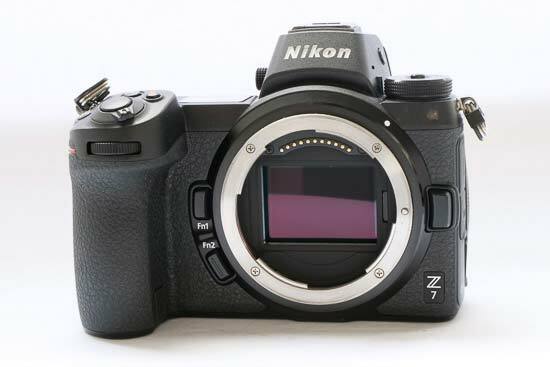 The Nikon Z7 feels like a camera which can be picked up by existing Nikon DSLR users without hesitation about how it works or what certain things do. While some things will be slightly different and may take some to get used to, all in all, it’s very much like using a smaller and lighter Nikon DSLR. 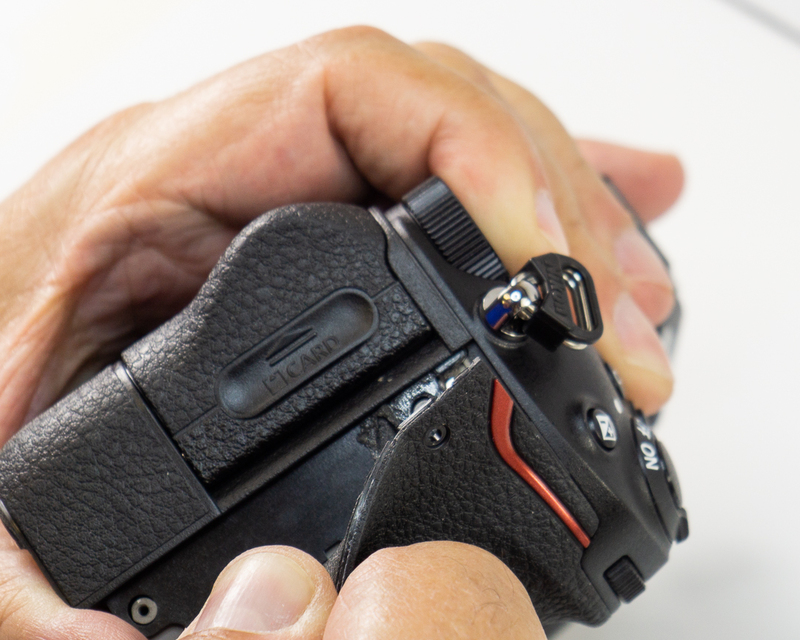 Having a mirrorless model opens up certain shooting scenarios for photographers that may otherwise have been more difficult or even impossible. The silent shooting function is a great example of that and we can see it being particularly popular with wedding photographers and in other situations where being discreet is important. That said, the Nikon Z7 is probably not the perfect model for everybody. If you shoot a lot of sports or action, there are certainly better tracking focus and burst speeds on the market – both inside and outside the mirrorless realm. There’s also the issue of the single card slot – it seems likely that many will either learn to live with the risk of one of the cards corrupting, or wait even longer to see what Nikon produces next. Either way, it’s clear to see that this is just the beginning. 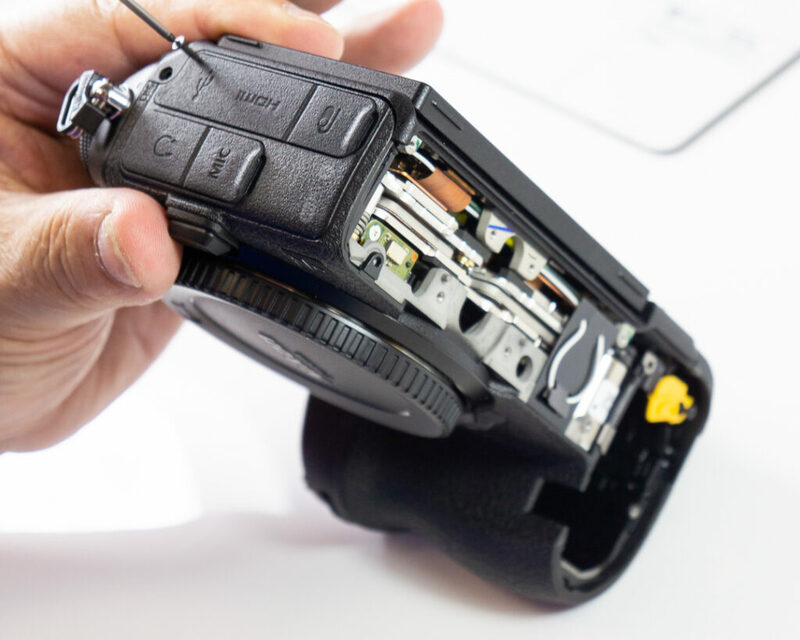 Right now we have the Z7 and the Z6, but how long will it be until we see a Z3, Z1 or even APS-C models to really open it up to the consumer market. 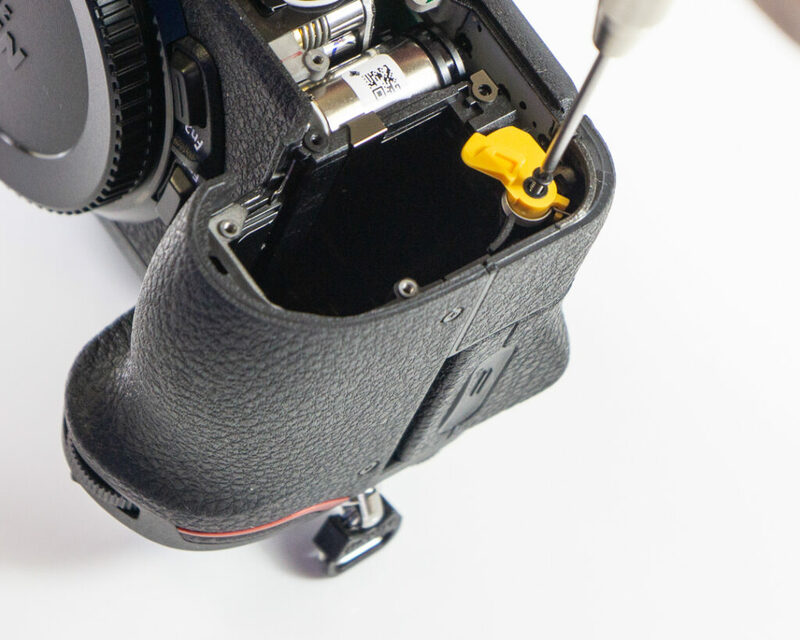 DSLR production is still going strong, but it could become somewhat of a niche in the years to come. It finally feels as if Nikon is no longer scared to admit that and is open to the possibility of the mainstream future being mirrorless. 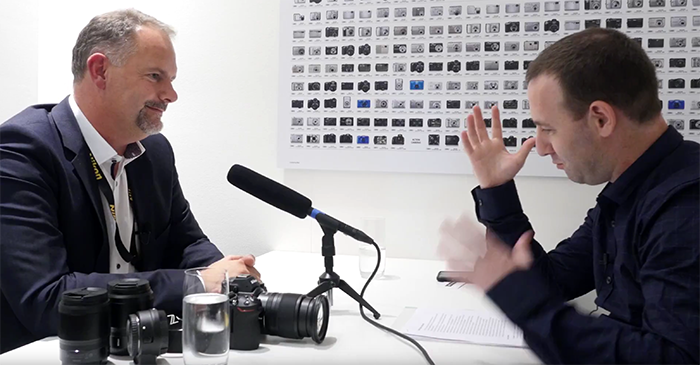 For a first iteration of a brand new system and mount, the Nikon Z7 is really quite remarkable – it’s a truly exciting time in the market and it feels like Nikon has got it right this time.